Embrace the Dutch tradition of ‘Gezelligheid‘ with these cosy pursuits in the city of Amsterdam this autumn. After a 10 year absence from Amsterdam’s cultural trail, the Rijksmuseum is back and is looking all the better for its €375 million make-over. The new look museum is highly interactive and takes you on a journey through the history of the Netherlands via a wonderfully curated selection of art and artifacts. Highlights include the Gallery of Honour, where Rembrandt’s The Night Watch takes pride of place. Be sure to book your ticket online on the Rijksmuseum website before you arrive if you want to avoid long queues. Entry for adults is €15 and there is free entry for children/students up to the age of 18. The genius of Vincent Van Gogh is brought to life through The Van Gogh Museum’s magnificent collection which spans his entire career, from early childhood drawings to the ground-breaking works that would inspire an entire generation in the 20th century. The latest exhibition, Van Gogh at Work is on view until January 2014. Tickets can be pre-booked online (this is recommended as queues are long when you get there). The Van Gogh Museum is located in Museumsplein, along with The Rijksmuseum. If the weather permits, make the most of your visit to this large, park-like square, take along a picnic, enjoy a drink, or get a photo with the now famous I amsterdam sculpture. This year marks the 400th anniversary of Amsterdam’s famous canals. In 1613, construction got started on the city’s Canal Belt, a section of the historic city that was included on the World Heritage List in 2011. Without a doubt, Amsterdam is a city best seen from the water. There are countless companies only too willing to ferry you around canals broad and narrow, offering you a unique perspective on the city’s history and architecture. If you’re looking to avoid the crowds, try and book a mid-afternoon cruise. Many tour operators allow you to purchase your ticket online in advance to save hassle. Amsterdam Canal Cruises offers a good selection of daytime and evening cruises. The Anne Frank House is situated in the leafy surroundings of the Prinsengracht canal and contains a museum dedicated to the life of Anne Frank, the Jewish girl who wrote a now very famous diary while hiding from Nazi persecution. Not only does the museum preserve Anne Franks’ secret hiding place, it also showcases an exhibition about the life of the young girl as well as other interesting installations highlighting the themes of persecution and discrimination. Although quite small, the museum is extremely popular with visitors from all over the world so advance booking is a must. Tickets should be booked online on the official Anne Frank Museum website. To truly immerse yourself in the local culture, rent a bicycle at Star Bikes, get in lane and join the city’s thousands of cycling enthusiasts. Most of the bikes on offer at Starbikes are the beautiful old-fashioned ‘Granny’ Sparta bikes. Tandems are also available and staff will even pack you a tapas-style picnic tailored to your dietary requirements if you’re planning to make a ‘gezellig’ day of it. Half day rental costs €5 and a full day’s rental up until 7pm is €7. A picnic basket or barbeque set for two people costs €35. For more information on the bikes, menus and rates, visit the Star Bikes website. Whether you choose to stay in an apartment, hotel or even a houseboat, accommodation in Amsterdam tends to be expensive so it is worth shopping around to find the best value option. Hotel comparison sites such as trivago.ie will do the work for you, comparing the best deals on offer during your dates. Have you visited Amsterdam recently? Feel free to share your tips for autumn in the comments section below. The one time we went, Anne Frank was closed. (sad face) I would love to go back. Amsterdam is such a pretty city with its canals and bike riding ways.. Yes – it’s unbelievably popular – I guess you have an excuse to go back now though! This is fab as I am going with the girls again in November! time to do some proper sightseeing! I worked in Amsterdam a while back (short visits) so while I have enjoyed walking around and eating in this great city, I have missed most of the incredible museums – something I must rectify! It’s an incredibly ‘walkable’ city – yes, don’t miss these gems next time Raul! The Anne Frank Museum is on my 100+ item to-do list. I REALLY want to mark that off soon. The rest shall go on my Amsterdam itinerary as well. Such a poignant story and it really is a must do! This is definitely one of those cities where I’d rent a bike without hesitation! Cruising the canal sounds great too. Well Amsterdam is certainly THE place to do it. When I visited Amsterdam, I set aside my tourists things for the last day. Unfortunately, that day was Sunday and Anne Frank Museum and Heineken Brewery were closed, and I was leaving the next day. Cry cry 🙁 Fortunately, I did a chance to check out the Van Gogh Museum. Next time I am in town I will make sure to visit Anne Franke and the Heineken Museum when they are open and these other great suggestions. Yes, the Heineken Museum! They are all pretty much eithin walking distance of each other so that’s very easily done! I feel if I were in Amsterdam I would have to ride my bike around! Star Bikes Rental sounds cute and the picnic to go is a nice touch! 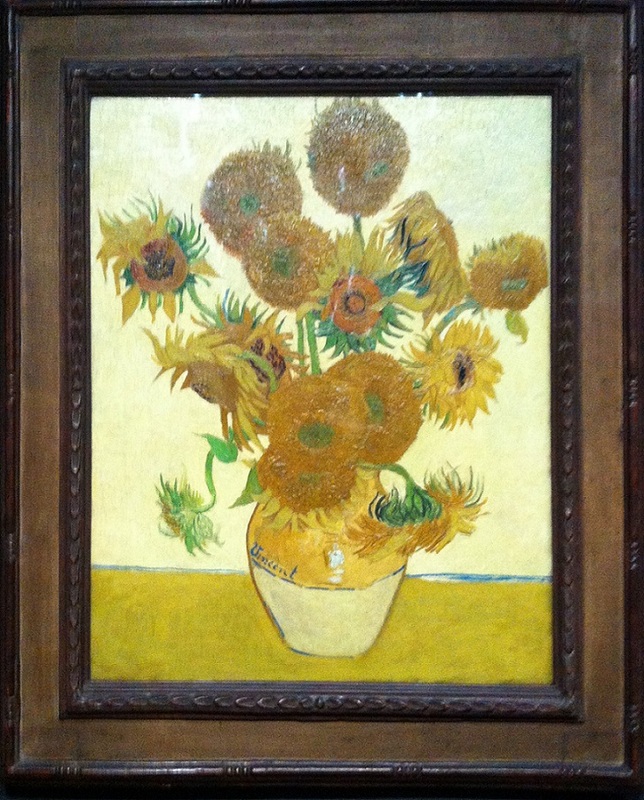 i went to the van gogh museum on a friday night when it was open late and had such a great time. it’s really well done, and i love the space!